Next offering TBD. Click here to read about our most recent HIA class. Reviewing potential strategies that may reduce negative health impacts and increase positive impacts. 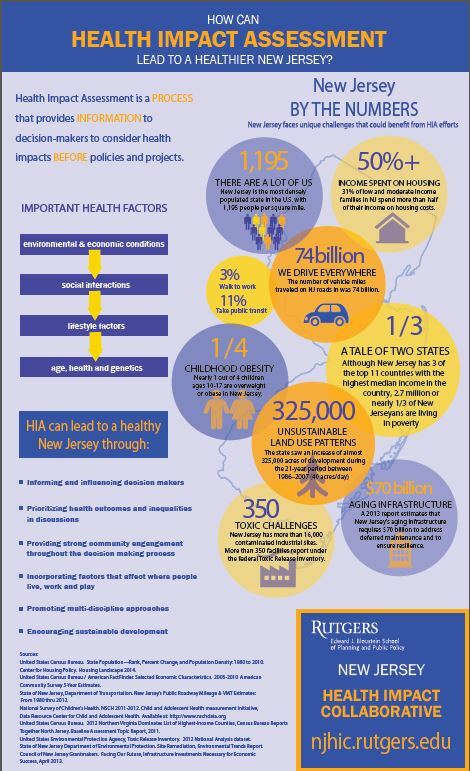 How can HIA lead to a healthier NJ? Interested in learning more? Visit www.phci.rutgers.edu. See all of our Public Health and Safety course offerings.